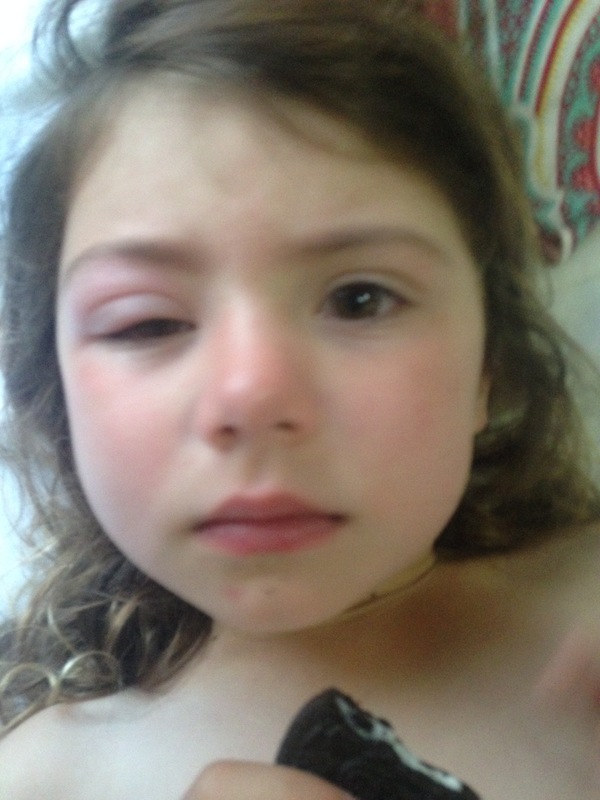 My kids react severely to bug bites on the face. If Benadryl is working keep giving it. That’s what I do. Poor thing. She needs lots of cuddles. So do you. Enjoy.